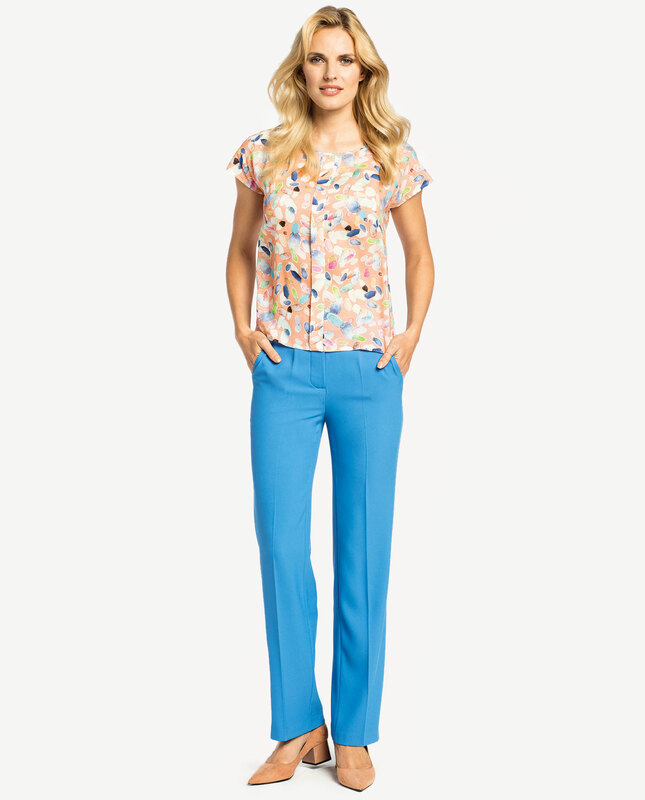 Elegant relaxed blouse with short sleeves in soft fabric which is pleasant to the touch. There is a dart at the front, adding a lovely feminine touch to the entire look. Fastened with a decorative button with a droplet hollow at the back. A classic and timeless style which will prove a perfect match for vintage trousers or pencil skirts, both for casual and formal events.